Municipalities in the United States have added fluoride to drinking water since 1945. In small amounts, this chemical can provide healthier teeth. However, in some circumstances, groundwater sources can contain too much fluoride. The water purification method of reverse osmosis can remove fluoride. Whether this is a good thing or not depends on whether your water has an excess of fluoride. Fluoride is a form of the element fluorine and has the chemical symbol F. The "ide" ending in fluoride shows that it is an ion, which is a charged particle. In the case of fluoride, the fluorine atom has gained an electron and has an overall negative charge. Fluoride is found in a number of naturally occurring rocks and minerals. It readily dissolves in water and has no taste or odor and is not visible once in solution. Fluoride is safe to consume in low doses such as in fluoridated tap water, but can be toxic if ingested in large quantities. Reverse osmosis, or RO, is a common form of water purification. RO uses a semi-permeable membrane that has pores large enough to allow water molecules to pass through but small enough to block other types of molecules. When pressure is applied to water on one side of the membrane, water molecules are forced through to the other side of the membrane, producing pure water. Contaminants are essentially filtered out by the process. RO works well to remove most common contaminants but is fairly wasteful because it purifies only a fraction of the water that passes through the RO system. According to the American Dental Association, fluoride is normally added to municipal drinking water at a concentration of around 1 part per million, at which level it helps prevent tooth decay. Some ground water sources, though, can naturally contain higher levels of fluoride ion caused by minerals that dissolve in the water. 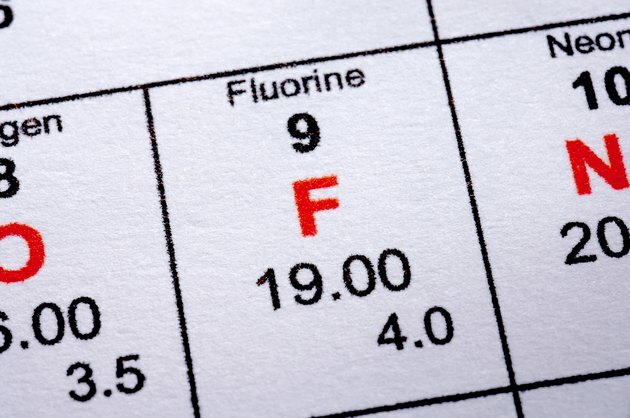 According to a webpage on the University of Nebraska website, a fluoride level of 4 ppm or higher can cause health problems such as tooth discoloration. If a groundwater source used for drinking is found to have high levels of fluoride, the water should be treated to remove the fluoride. According to a 2008 University of Nebraska guide, reverse osmosis can remove many typical impurities from water. These include dissolved minerals such as calcium and magnesium, as well as solid particles and pesticide contaminants. The guide states that RO systems will remove fluoride ions from water. This guide also notes that RO units can be configured to produce enough fluoride-free water for an entire household, and recommends that a reliable water treatment dealer be consulted to choose and install the most appropriate system.